For inkjet printers, Matte and Glossy 13 x 19 inkjet paper. For laser printers, refer to 32 lb. Gloss, professional glossy brochure and flyer paper. ... Sizes: 8.5"x11", 8.5"x14", and 11"x17"
For print-shop quality results on small full-color print runs, this professional glossy brochure and flyer paper is designed for creating custom brochures, flyers, and direct mail materials. 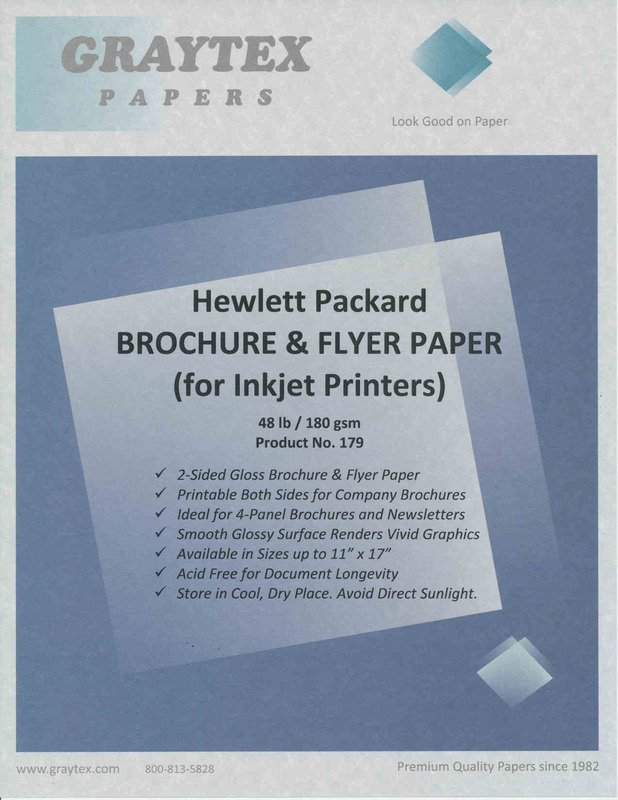 HP Brochure and Flyer Paper 8.5" x 14"
Looking for 13 x 19-inch? Alternatives. For 13" x 19" one-sided high gloss papers or a two-sided matte-paper alternative (i.e. for brochures) which provides greater color intensity above uncoated papers, see 13 x 19 matte & gloss papers.